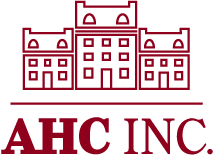 AHS appreciates and relies upon the participation and support of our sponsors and other partners, the Arlington and other Northern Virginia organizations who share our belief in the importance of affordable housing to our community. Many of these organizations provide affordable housing and services to those who live there. Many have worked with us to plan, publicize, and realize AHS events. Many have helped in education, advocacy, and outreach efforts or brainstormed with us on potential affordable housing development projects. We are grateful for their energy, ideas, and ongoing support. Consider becoming an AHS supporter!